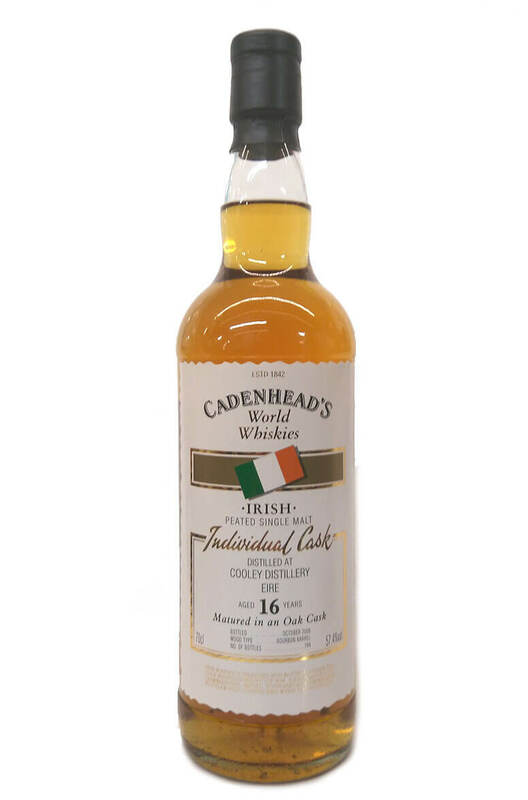 A fantastic single malt from Scottish bottlers Cadenhead. This is Cooley distillery's peated single malt (Connemara) and has been drawn from a single ex-bourbon barrel. Just 194 bottles were released. Types of Barrel used for Aging An ex-bourbon barrel.